India is the second most populous country of the world and has changing socio-political-demographic and morbidity patterns that have been drawing global attention in recent years. In spite of various growth-orientated schemes chose by the government, the broadening economic, regional and gender disparities are posing challenges for the health sector. About 75% of health framework, medical man power and other health resources are available in urban areas where 27% of the population lives. Infectious, contagious and waterborne diseases such as typhoid, infectious hepatitis, diarrhea, amoebiasis, worm infestations, measles, whooping cough, respiratory infections, malaria, tuberculosis, pneumonia and reproductive tract infections dominate the morbidity pattern, particularly in rural areas. Though, non-communicable diseases such as mental illness, hyper-tension, diabetes, cancer, blindness, HIV/AIDS, accidents and injuries are also growing. 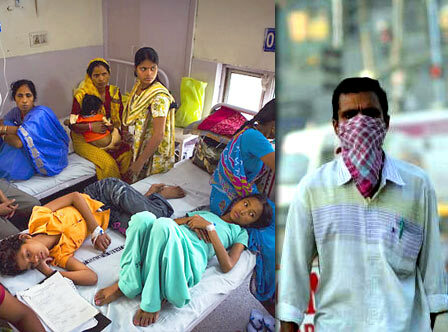 Indian's health status is yet another cause for deep concern. This is reflected in the life expectancy (63 years), infant mortality rate (80/1000 live births), maternal mortality rate (438/100000 live births). To enhance the current situation, the health problems need to be addressed both at macro (national and state) and micro (district and regional) levels. A revised National Health Policy stating the prevailing inequalities, and working towards promoting a long-term perspective plan is imperative. India is seeking the world’s attention, not only because exploding population but also due of its current health status and profound economic, political, and social transformations. After 67 years of independence, various growth-oriented developmental programs having been undertaken, around 716 million rural people (72% of the total population), half of which are below the poverty line (BPL) are confronting terrible and constantly losing battle for survival and health. The policies implemented so far have widened the gap between ‘urban and rural’ and ‘haves and have-nots’. Most of these concentrate only on growth of economy not on equity and equality. Nearly 70% of all deaths, and 92% of deaths from communicable diseases, existed among the poorest 20% of the population. Although, some progress has been framed in the health profile of the country since independence which is reflected in the refinement in some health indicators. Under the cumulative impact of various measures and a host of national programs for livelihood, nutrition and shelter, life expectancy rose from 33 years at Independence in 1947 to 62 years in 1998. The under 5 years mortality rate (U5MR) declined from 236/1000 live births in 1960 to 109/1000 in 1993. Infant mortality declined from 146/1000 live births in 1961 to 72/1000 in 1999. Interstate, regional, socioeconomic class, and gender disparities remain high. These achievements seem significant, yet there is a long way to go. Health is determined not only by medical care but also by determinants outside the medical sector. Public health approach is to deal with all these determinants of health which requires multi sectoral collaboration and inter-disciplinary coordination. Various parameters are adding to the degrading health profile of India. ● In the case of medical research, a similar trend is observed. While 20% of research grants are allocated to studies on cancer, which is responsible for 1% of deaths, less than 1% is provided for research in respiratory diseases, which accounts for 20% of deaths. ● Ensure adequacy and reliability of health related data for understanding the graveness of situation and for planning purposes. ● Sharing of successful experiences and best practice models: Successful experiences from other countries can be adopted. These can be adopted with local adaptations to suit the need of the people and the current situation. ● Strengthening public health care facilities.